Juan Francisco Yáñez Rodriguez has spent the last twenty-one years working for everis. Now, as the company’s regional CEO of the Americas, he wouldn’t dream of doing anything else. 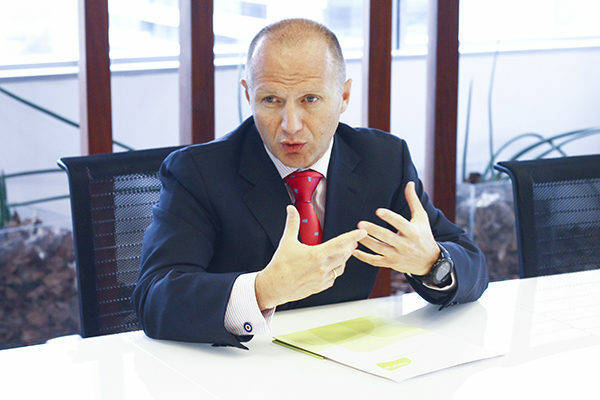 After returning to Spain, Yáñez became the managing director of everis Madrid and, eventually, the company’s chief operating officer. Yáñez is now responsible for all the everis operations in the United States, Central America, and South America. Yáñez recalls how everis began in 1996 with just five people in a small building with a tiny cafeteria. Today, the company has close to twenty thousand employees. One of the biggest challenges that consulting firms like everis face nowadays is keeping up with the new technologies and adapting to the digital age. The company is prepared and has been positioning itself as one of the most innovative consultants, using the breakthrough technologies. Its capacity combining the artificial intelligence and technological innovation with business expertise could bring exponential growth to all sectors. Yáñez says everis can help achieve the best results democratizing, digitalizing, and transforming business process to promote grow faster and making a huge impact on the community. Strengthening ties with other industries in a global scale is also part of everis’ vision. In May 2018, for the third consecutive year, the company sponsored the Digital Business World Congress that took place in Madrid. The main goal of the company is to deliver outstanding results, Yáñez says, and hiring the highest performing professionals in their field and keeping them produces these results. A combination of positive leadership and a sense of purpose is the best strategy to nurture and keep employees.